The current model Subaru Outback enrages me. If this column sounds like it could become tiresome because it’s about cars and not audio, stick with me; It’s actually about a really interesting exercise just performed by the Detroit Symphony. But it needs context.The current Outback is a perfectly decent car, it has good resale value and it does everything it promises. It is also very safe with a lot of neat technology assisting in this, and this is where my rage comes in. Whenever a situation arises in which the Outback thinks you may be endangering life or limb, even if only slightly, it sounds a warning chime. You’ll also hear chimes for non-potentially-fatal problems too, like a door not being fully latched. The problem with this is that for every situation, be it leaving the boot open or doing a Thelma and Louise from the north rim of the Grand Canyon, it’s exactly the same tone. It’s the same little ping whether you’re low on fuel or the president of the United States has decided to nuke the little rocket man. And given Subaru’s penchant for the safest, most incident-free journey possible you hear this tone so frequently that surprisingly often you have no idea whatsoever what’s caused it. That’s why you eventually learn to ignore it. Not, I suspect, what Subaru planned. Most cars have a variety of tones, from the loud metallic clatter you get in a Volvo when it thinks you need to brake (and being a Volvo it frequently thinks you need to brake) to the insistent wail of a Mazda 3 when you’ve left the headlights on (the secondary purpose of which is to remind you that you should have bought the model with the automatic headlights). Warning tones, like expensive fuel and compulsory third-party insurance, are things with which we have all learned to live. Okay, but why can’t warning tones be pleasant to listen to? If they’re an unavoidable fact of life why can’t we at least enjoy them? So now I can get to the point. 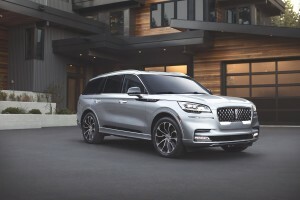 Ford, a long-time sponsor of the Detroit Symphony, recently commissioned the orchestra to create a series of short musical riffs that it is now using as warning tones in its new, upmarket Lincoln Aviator SUV. 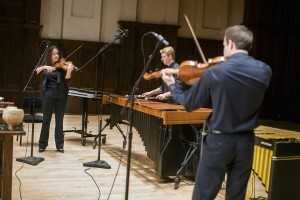 The idea came up during a brainstorm convened by Jennifer Prescott, who bears the heavy responsibility for such matters at Ford, and she emailed the orchestra folk to sound them out. Anne Parsons, who runs things there, said the opportunity to try something so markedly creative was irresistible. So the musos were briefed on how long the sounds should play (there’s Wagner leaving the room right there) and what they would indicate, and the musos recorded more than 100 possibilities to present to the car folk. There followed a multitude of listening clinics narrowing it down to a single chime, and this was then given half a dozen variations along the same theme. These six tones provide alerts for 25 things going on in the new SUV, from soft, non-critical warnings to Armageddon. 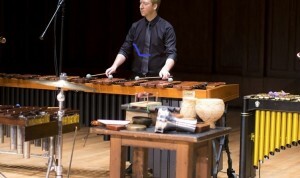 Only three instruments were used and all of them start with a V; violin, viola and vibraphone. If you fail to fasten your seatbelt or leave your fuel door open in a Lincoln Aviator you will be joined immediately by the Detroit Symphony, gently reminding you of your folly. Almost seems worth making the odd mistake. The Aviator is not available locally and the folk at Ford Australia would probably prefer tones a little more egalitarian anyway, and maybe more representative of this wide brown land. Maybe the Mucky Duck Bush Band on digeridoo, clapsticks and lagerphone. Which got my thinking headed down another path. Hey, we can choose our ringtones (mine is a cat meowing and it plays merry hell with waiters in restaurants) so why can’t we choose our own, personalised warning tones? I’d like Von Karajan insistently tapping the baton to bring my passengers to order, and I’d really like Audrey Luna hitting the A over high C, as she did in the Met for about a fifteenth of second, when I’m about to run up the back of a police car. The soundtrack from the shower scene in Psycho would be a natural for automated braking and I’d like to use one of my favourite road noises – lines of cars crossing over the tram tracks in downtown Melbourne – for an approaching hook turn. Or maybe, and this idea is wa-ay out there, we could just have a voice synthesiser along the lines of; “Maaaate, you’ve left the handbrake on again mate. Come on cobber, you know you can do better than this.” But it would have to be voiced by a genuine, dinky di Aussie. Someone like Russell Crowe or Sam Neill. First published in Australian Hi Fi magazine March 2018. Buying without listening first – art, not science.